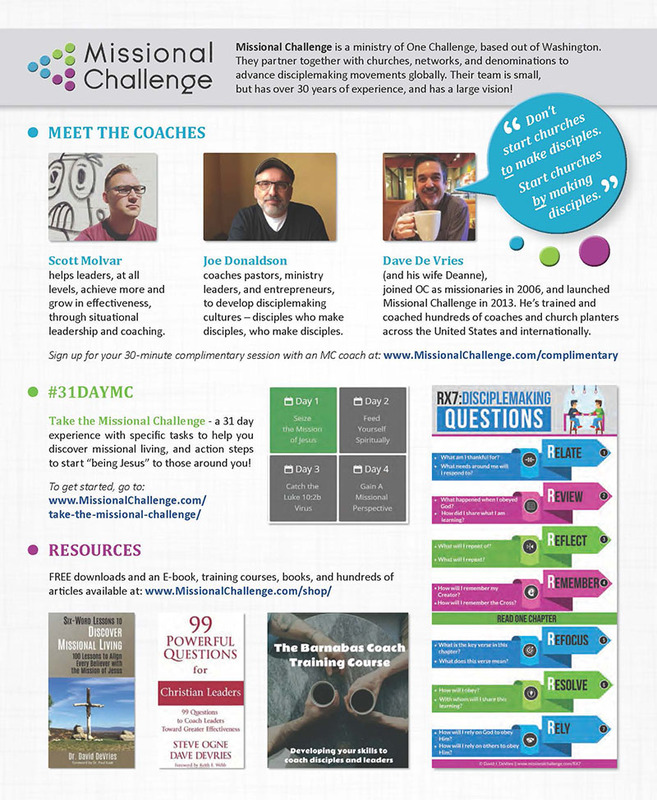 This month’s prayer focus is on Missional Challenge, a ministry of One Challenge, based out of Washington. They partner together with churches, networks, and denominations to advance disciplemaking movements globally. Their team is small, but has over 30 years of experience, and has a large vision! Click the image or this text link to view/download the file. One Challenge is an international mission sending agency empowering local church ministry in more than 100 countries around the world. We invest in people and opportunities that enable churches to be planted, thrive, grow, and multiply. When invited by local leaders, OC conducts training for church planters and those interested in learning about disciple-making movements.